The first time I tried to make gnocchi was in 2001. Things I remember about the experience: it was a sweet potato gnocchi, it was gooey as hell, there was a TON of it (most of which was thrown away) and the process of making it nearly resulted in a divorce. Until now, I have avoided making my own gnocchi since the “gnocchi incident”, though I have remained gnocchi-curious. Twelve years later, and with a new husband (who doesn’t cook and in no way participated in the process), I decided to give gnocchi another try. This time I would start simple. Instead of traditional potato gnocchi, I would make a ricotta gnocchi. No ricing potatos, and less chance of a gooey mess. This recipe was inspired by a post in the aptly-named Inspired Taste blog. Ladies and gentlemen, I give you weeknight gnocchi. I AM NOT KIDDING!!! 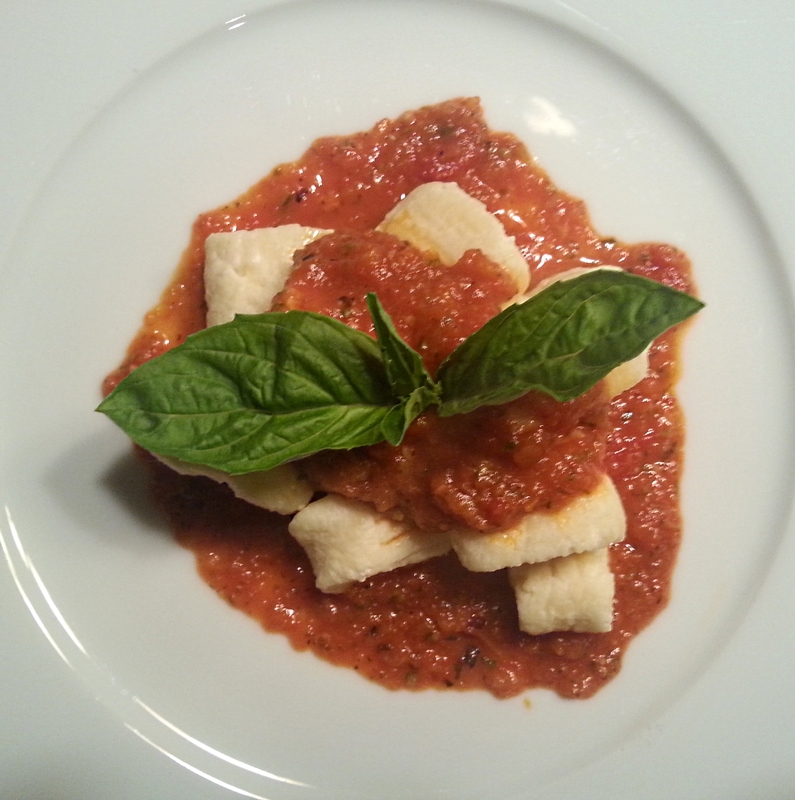 Super easy gnocchi. Seriously. Pair with pesto, a simple homemade tomato sauce, or brown in butter seasoned with fresh sage. 1 lb. ricotta I used an artisnal product: Coach Farms goat milk ricotta, which is lighter and less fatty than traditional ricotta. 1 1/2 cups flour I used "00" flour. Mix eggs, ricotta, salt, and cheese together in a bowl. Slowly add flour until a shaggy dough comes together. Remove dough from bowl and shape into a log. Cut log in half and cut each half into four equal pieces. 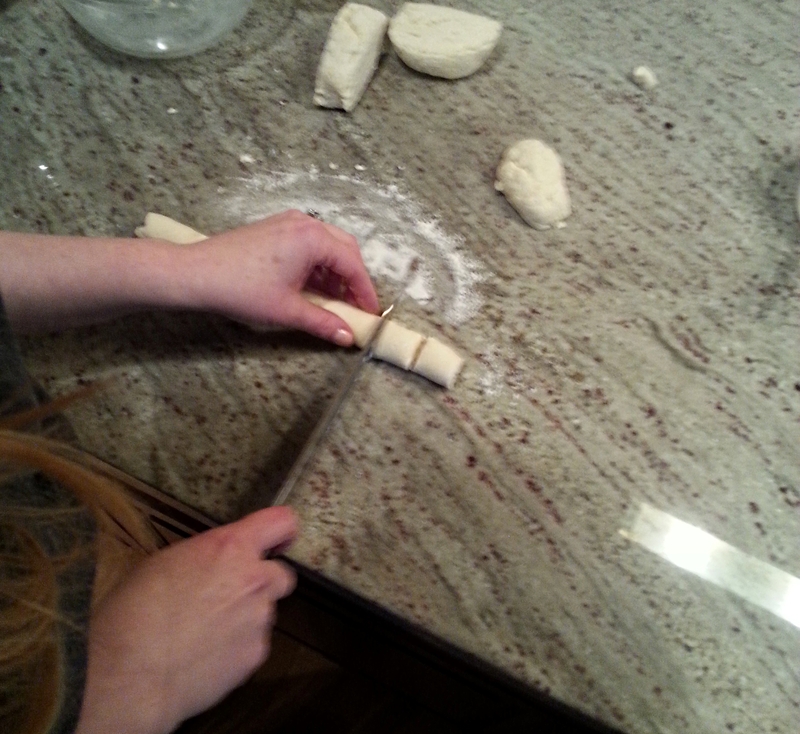 Roll each piece of dough into a rope that is ~1 inch thick and cut gnocchi into ~1 inch pieces. Place cut gnocchi on a parchment-lined baking sheet and set aside. 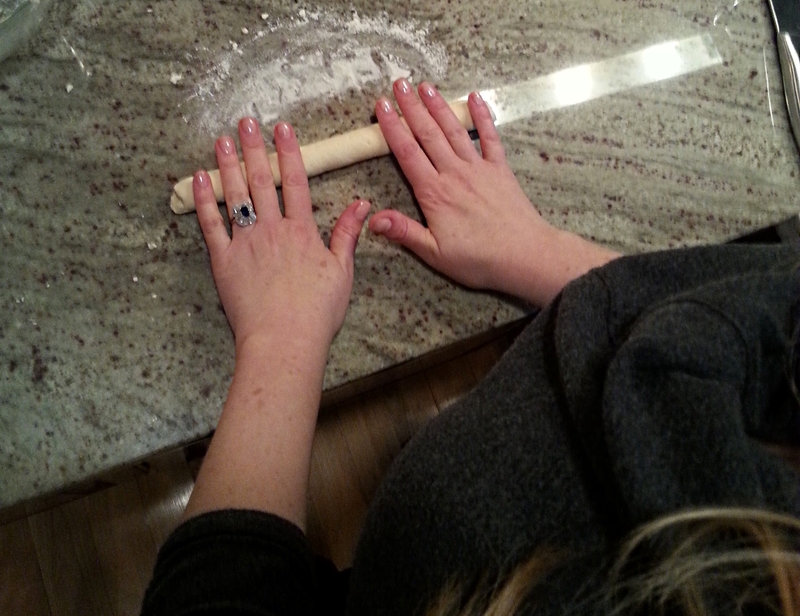 Continue rolling and cutting remaining dough. Heat large pot of salted water to boiling. Gently add gnocchi to pot. Be careful not to overcrowd the pot, as this could cause the gnocchi to stick together. When cooking for more than two people, I cook gnocchi in batches. When gnocchi begin to float to the top of the pot, they are done. Remove from pot, drain well, and toss with your favorite sauce. 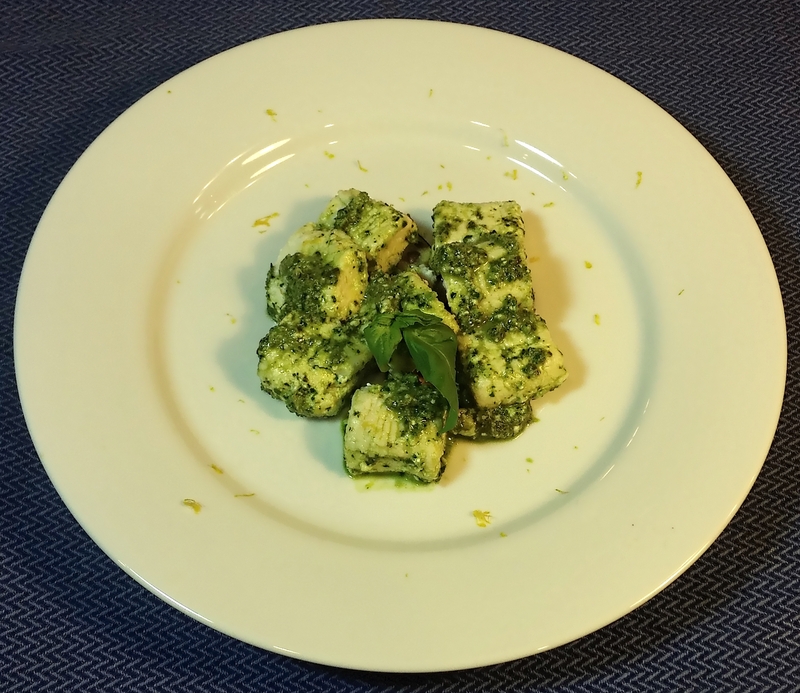 * To freeze gnocchi, place parchment lined baking sheet with gnocchi in the freezer until the gnocchi are frozen (about 45 minutes). When gnocchi are frozen, remove from baking sheet and place in zip top plastic bags for easy storage.